Who is the young bright fellow that was being sued by Sony until just recently and who is probably despised by Apple and AT&T at the same time? Why, it is no other than George “GeoHot” Hotz who hacked the allegedly impenetrable PlayStation 3 console and who released a number of jailbreaks for the iPhone... while he was still in his teens. Well, all of GeoHot's problems with Sony have been settled peacefully so now he can safely go back to doing what he seems to be best at – hacking the hottest gadgets out there. As it became pretty clear yesterday, the next target in GeoHot's scope is going to be Apple's iPad 2. The battle was on after p0sixninja, a member of the iPhone Dev Team challenged him to a little competition in order to see who will hack Apple's latest tablet first. The goal is to dump the iPad 2′s bootrom successfully – a feat that will most probably lead to the jailbreaking of the iPad 2 and will bring fame to the one who succeeds. So, all of you who are waiting for an iPad 2 jailbreak might want to cross your fingers. We will be keeping an eye on the situation and will let you know as soon as news breaks out. Someone needs to read more news before writing articles, Geohotz has settled with Sony and this is almost a month now. 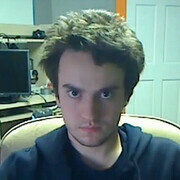 Geohotz, king of douchebags. I didnt care about his hacking efforts before until what he did with PS3/PSN. After that, I think he should be locked up. Hacking is fine if it doesnt affect other users not using the hack, but when it does, like with his PS3 hacking, then its just shameful. downphoenix, are you referring to the PSN network being down for 2 weeks? if so then yeah I don't think Geohotz did that. I think they are referring to the ability to save bluray games on the ps3 hard drive and play them.. Sounds more like they're trynuh lure "Geo" into a game of cat an mouse so that way "Apple" based on studying "Geo's" work once its done can hopefully secure a better methodology which they lack to truly lock out jb'rz thus hopefully securing their product while patting their own backs over their latest security measures. Hell they might even try to lure "Geo" into their fold thinking themselves slick since when in reality they're idiots. DON'T FALL FOR IT GEO.